Although energy efficiency is not the primary driver when a potential buyer is considering the purchase of your home - it most certainly would draw them in. Often, a property can be valued at a fair and reasonable price, but actually achieving this and ensuring that your property is not on the market for years can be more difficult than you might imagine. The average property takes 65 days to sell with a national average of 76% of properties selling for below the asking price, which is anywhere between a 3-6% reduction. Last year the Mortgage Market Review (MMR) introduced prevention measures to control irresponsible lending- ensuring borrowers could afford their repayments. This allows providers to scrutinise your lifestyle including energy bill spending, shopping habits and lifestyle choices. Electric heating can increase the value of your property. As a property developer increasing the value of a property is always high on the agenda. There are many ways to increase the value of your property; you can go down the route of expensive add-on such as loft conversions or extensions, or high end fixtures and fittings, or simply by upgrading what you already have. Simple changes to upgrade your home such as adding a stylish elegant electric towel rail to your bathroom, or a cool infrared ceiling heater for your kitchen can make an impact to draw a buyer in, to make them ‘want’ your home. Fixed appliances in our homes that are not likely to be replaced, in contrast to older models, modern, energy-efficient heaters so stylish that they are no longer merely a boring necessary item to include in the design a room, rather they can complement and enhance your furniture and lighting fixtures to complete the overall look and feel of your home. As for function, a smart electric heater such as the Rointe Delta range of WiFi radiators and towel rails can make a significant contribution to the buyer's perception of the convenience of living in your home, beyond more fundamental factors such as location and parking availability. Where does Smart Home technology fit in? Well, the good news is that, the more inefficient your home is now, the more you can benefit from smart home technology, and thus boost your EPC rating. With a human need to control and regulate our immediate environment – and now with modern digital, smartphone-controllable, WiFi-enabled ‘smart home’ devices, meters and monitors – we have the ability to micro-manage our home's energy consumption as never before. As the energy-conscious buyer increasingly aspires to live in a ‘smart home’ that accommodates an increasingly smarter approach to living, a premium is expected for access to properties enhanced with modern, energy-saving technology installed. 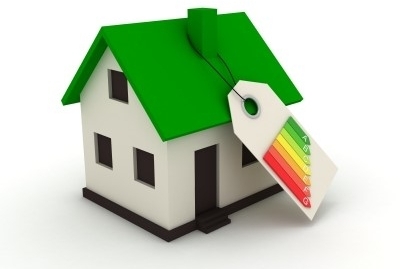 How easy is it to improve your EPC rating? Improving your EPC rating is much easier than you might think. A project undertaken by CJ Eco to upgrade 9 properties from a well-known retailer, with upstairs accommodation in order to reach their goal of improving the EPC rating by installing Dimplex Quantum Panel heaters to each property, has reduced the EPC rating from 38 points (F) to 53 points (E). Ensuring that their EPC rating reaches at least an E by 2018 to be compliant with legislative changes. An energy-efficient property will save you money now, which can be applied to other home improvements, and is a more valuable and marketable asset in the long run.